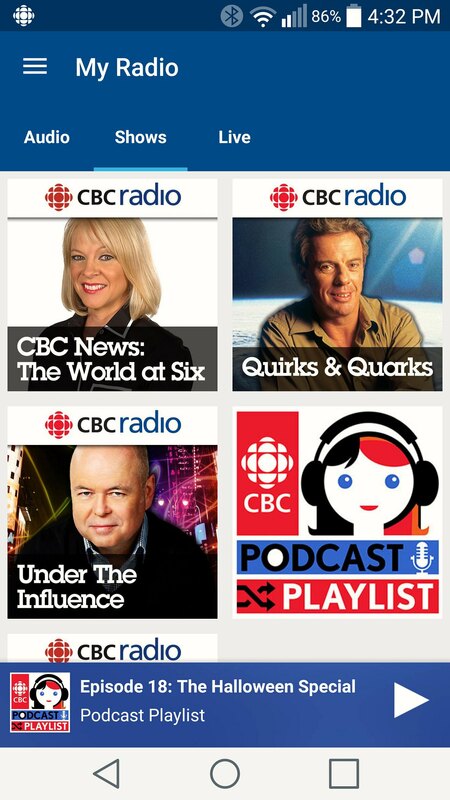 Lately, when I go out cycling, I've been listening to CBC podcasts on their CBC Radio app. 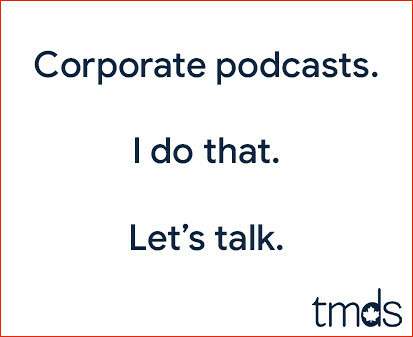 One podcast I've been digging lately is all about... well... podcasts. It's called Podcast Playlist and promises "Fresh, new, provocative programs from the digital realm". Each episode contains several interesting segments from other podcasts. It's a great way to discover new podcasts, or just hear a collection of great stories. Even when the subject matter isn't my cup of tea, I find it interesting. With the app, I just click the episode I want to hear and start peddaling. Episodes are just under an hour, which is ideal for me. I'm a huge fan the "This Is That" podcast. It's the only CBC offering I regularly download. I think I may have caught this accidentally, a few weekends ago, the podcast was 3 guys discussing the Federal Election, and the types of strategies employed. Great way to introduce the regular CBC Listener to a different medium/format. I love the Vinyl Cafe show personally!